As the colder days and dark evenings are now upon us I find that there's nothing better than a cosy night in snuggled up in blankets. 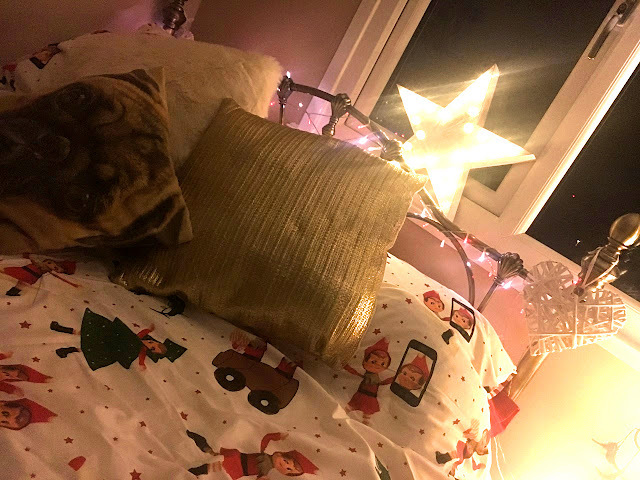 As this is how I have been spending most of my evenings I thought I would share with you guys a list of my essential items to have the ultimate cosy night in.I also thought this would the perfect post as it truly is the season for a cosy night in. So first up in the line up for the dream cosy night in is pillows and blankets. There is nothing better than snuggling up with a fluffy throw and a bunch of pillows after a long day. So these are most definitely an essential. A hot beverage is also great for making you feel toasty warm but is also a delicious treat. This could be anything from a good old brew to a fancy hot chocolate. Some comfy pyjamas are also a must, being comfortable is essential so of course slipping in to your fave pj's will achieve ultimate comfort and help you enter chill mode. Scented candles and pretty fairy lights are an amazing way of creating that cosy atmosphere and the scented candles will also leave your house smelling delightful. Now comes to the entertainment, I love a Christmas movie as this creates immediate cosy vibes for me personally however depending on the time of year you are reading this that may not be totally acceptable so in that case you could always watch your fave movie or binge some Netflix. A cosy night in for me just isn't complete until I have had a little soak in a Lush bath. Any bath will do but for me nothing compares to Lush especially in the Autumn Winter months. Grab a bunch of your fave snacks to graze on whilst watching your chosen TV show or movie. 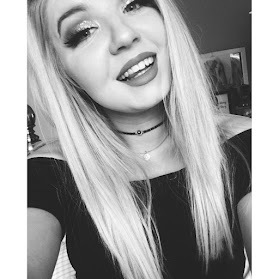 So that's all of my recommendations when it comes to the essentials to have the perfect cosy night in, I would love to know how you guys prepare for a cosy night in after a long day in the cold so do let me know below. I am so excited for todays post. 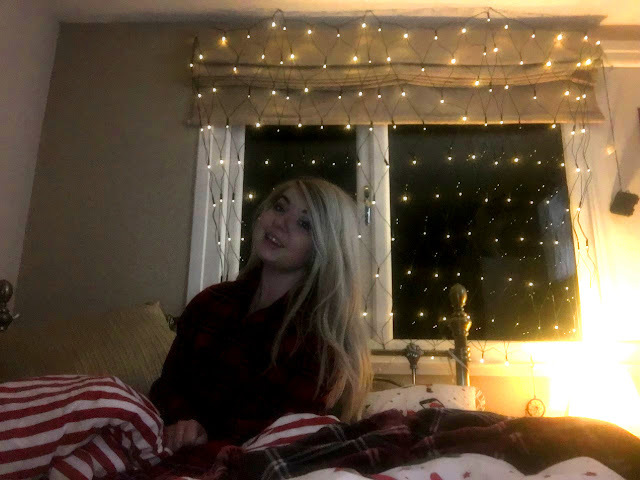 I live in comfy pajamas pretty much all year round but in the winter time when the darker evenings are here and the tree is up I just love coming home from work and slipping in to some Pj's. I also feel that at Christmas time there is just such lovely PJs on the market so for todays post I thought I would share with you a few of my fave PJ picks I have spotted around this year. That's all my Christmas PJ Picks for this year, I hope you enjoyed the read. 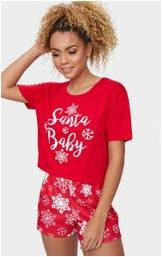 If any of you are like me and are a bit of a sucker for festive Pyjamas then please share your fave picks with me too. For todays post I thought i would share my gift guide for her. I personally find it way easier to buy gifts for the girls in my life however if you a struggling to find the perfect gift then this may help you get that little bit of inspo to find the perfect prezzi for your loved ones. I think any girl knows that it just isn't Christmas without receiving a few bath and body bits. I think that things such as bath bombs and body creams are such a lovely gift as they are perfect for a good pamper and what better time to pamper yourself than Christmas. My go to's for this is 100% Lush and the Body Shop as they simply nail their Christmas gifts / products every year. As with the gift guide for him I think experiences make such amazing gifts for her as well. Maybe concert tickets or a weekend trip to a place she loves whatever you choose for this I think an experience is just great as it is an amazing thing to look forward too throughout the gloominess of January and the comedown from xmas. If you know someone who's in to beauty then I think some skincare or makeup bits are so good. A new eyeshadow palette would be amazing or some new brushes / beauty sponges. Face masks also make a great gift for a good old pamper. There is a ton of beauty gifts and skincare gifts to choose from and these are also amazing to gift to a beauty lover. I personally love Beauty Bay, Boots and Debenhams for these as they have an amazing selection of beauty gifts. This gift idea is a DIY hamper, I love this gift idea as you can make it really personal to the person who is receiving it. 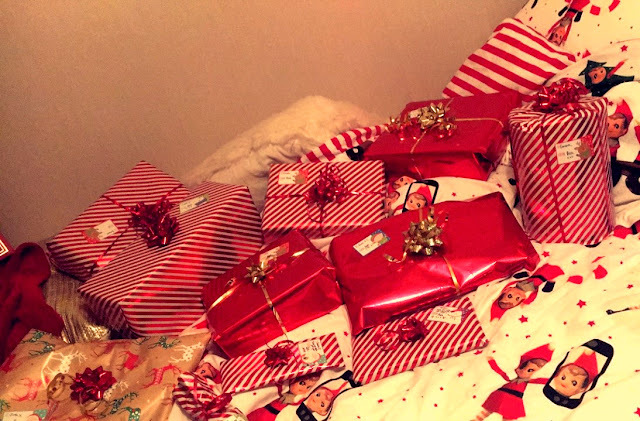 For this I would get a bunch of food, makeup, drink and beauty bits that the person loves and put this all in a hamper with a pretty bow. Finally this is a go to gift that may be seen as a bit of a cop out sometimes but I honestly love receiving/giving gift cards. They are perfect as you can get them for someones fave shop and they can go on a splurge after Christmas getting all the things they may have been eyeing up for a while. The possibilities are endless for gift cards but some good ones could be a restaurant, Homesense, New Look, Debenhams, or Boots/Superdrug. That's all the ideas in my gift guide for her this year I hope that some of you may have pulled some inspiration from this or just enjoyed another festive post here on Life with Bee. For this post I thought I would do a gift guide in particular a gift guide for the guys in your life. I think gift guide posts can be super helpful at this time of year and are great if you need some inspo on what to buy all the wonderful people in your life. So here's a few ideas on what to get if your struggling to find the perfect prezzi for any guy. The first thing I thought I would include in the gift guide for him is shoes. I feel like the choice of shoes can differ from guy to guy but I personally think Vans and Converse are a great shout. However, Nike, Adidas trainers could also be a good choice. If the guy you are buying for isn't much of a trainer guy you could also get some nice boots or smart shoes. As someone with a brother and a boyfriend which love gaming this one is always a go to for me. I think anything from a new game to a new controller is great. There's tons of accessories and gaming merchandise to choose from. If you were looking for a big / main present for someone special then you could even go for a console such as a Nintendo switch or an Xbox. Another good go to gaming gift is something like an Xbox Live Membership these come in various amounts and there is alternatives for different consoles but they mean that you can play games online with friends. Next up I think experience days make a great gift this could be anything from driving a sports car to a trip to the cinema to a holiday or weekend away. This is such a good gift as it gives them something to look forward to and a chance to make some amazing memories. For any guys in your life who love the gym a perfect gift could be supplements. These can be hella expensive to buy on an everyday basis so these can be a really great gift I would recommend My protein or a website called Dolphin Fitness to grab some protein or BCAA. I feel like this gift idea is a given I don't think anyone makes it through Christmas without some good old smellys. A bottle of their favourite aftershave would go down a treat or for a more cliche traditional approach you could opt for a good old Lynx gift set. The final gift idea in my gift guide for him is food and drink. This is such a go to gift for bulking out a present as they are guaranteed to love it. Just grab a load of their favourite food and drinks and pop them in a hamper or even just in with their main presents to add a little extra. So that's all for my Christmas gift guide for him I hoped this may have inspired anyone who is looking for some prezzi inspo for the guys in their life. For todays post I thought I would share '25 Festive Post Ideas'. 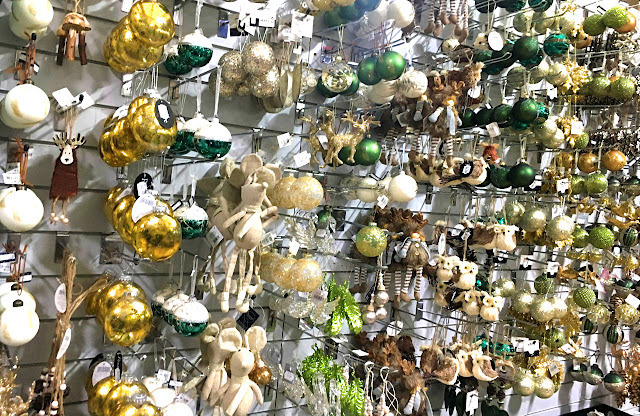 With all the festivities in full swing what's a better time to add some Christmas content to your blog than in December. 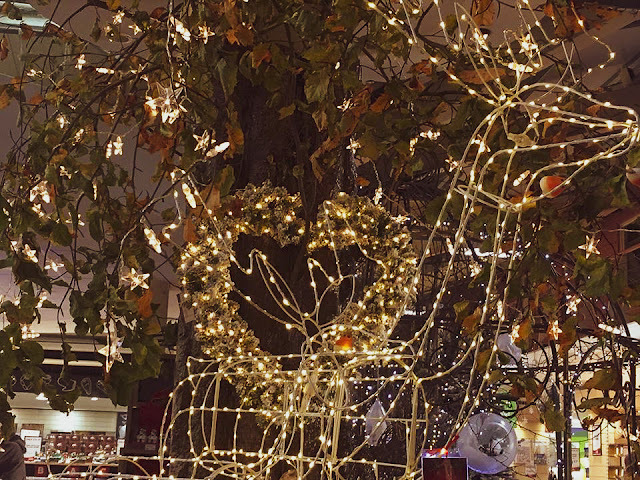 I feel like this post might help out any of you who are stressing your way through Blogmas as you didn't plan ahead or if ant of you just want to add some festive vibes to your blog this post is full of festive post ideas. I hope that maybe these post ideas may have inspired some of you to add some Christmas content to your blogs and please do let me know if you guys are doing blogmas or have done any of these posts as I would love to read them.